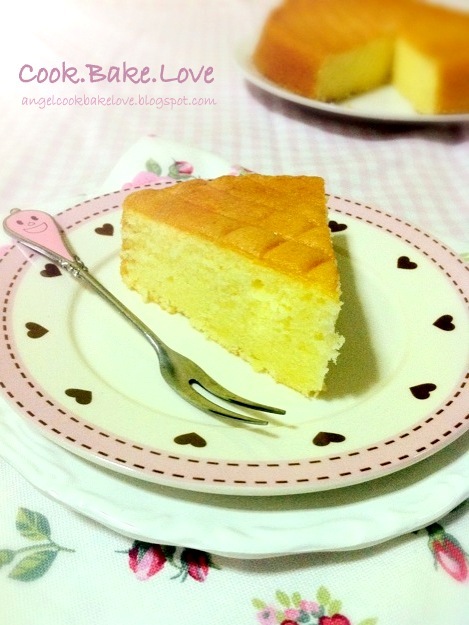 This butter cake is made using whole egg sponge cake method. No baking powder is needed. The texture is light and the crumbs are very fine. 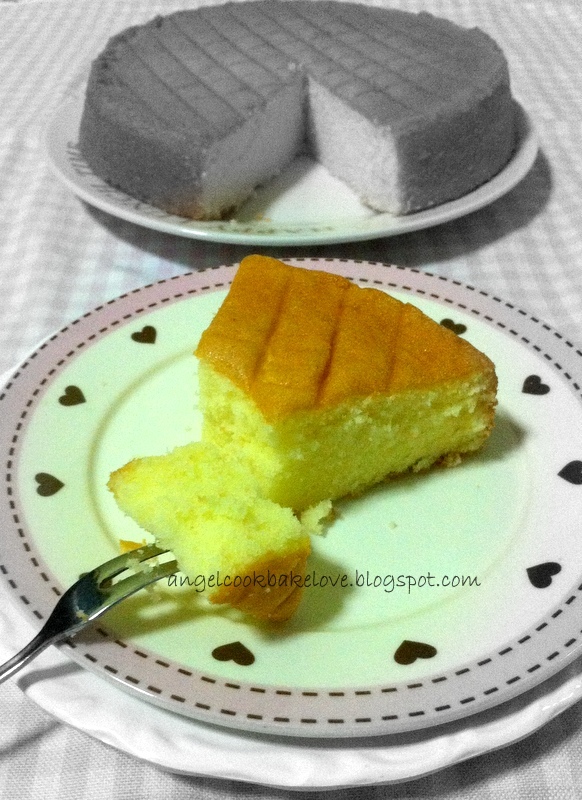 Some of the light butter cakes that I tasted before are very crumbly, they fall apart easily but this one won't. 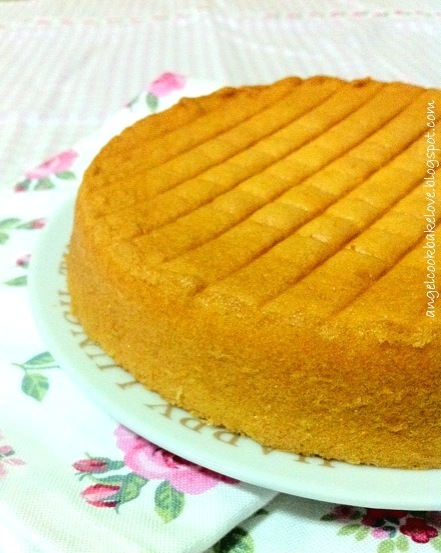 Like any other butter cakes, it tastes the best on the next day or third day when the cake is the moistest. Line or grease a 8”x4” loaf pan or 6”/7” round pan. Mix low protein flour and cornflour. Beat eggs and sugar over a pot of warm water till light, fluffy and pale in colour (ribbon stage). (I soak the eggs with shell in warm water as I am using a stand mixer). Sieve in flour mxture, fold in with a rubber spatula. Take a small portion of the batter and mix with melted butter. Return to the leftover batter and mix well with a rubber spatula. Pour into the prepared pan. Bake in preheated oven at 170C for about 30-35 mins. (I used an 7” non-stick round pan, 150-155C, about 25 mins). Hi Angel, your butter cake look so moist and soft. Hi Angel, I think this cake looks awesome! I like the crumbs and the fact that there is no baking powder! going to bookmark this too! Angel, I love this recipe! Your cake looks so light and soft. The crust is so evenly brown, really beautiful ! Interesting. My mom loves butter cake. Look similar like old fashion ji tan kou that without using BP. Looks good!